Cheerful Old Friends Having Fun Watching A Football Game On TV.. Stock Photo, Picture And Royalty Free Image. Image 56713418. 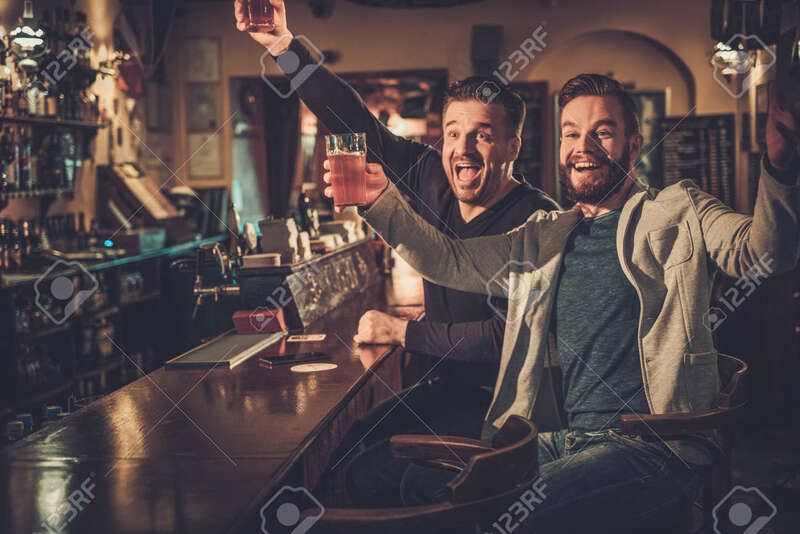 Stock Photo - Cheerful old friends having fun watching a football game on TV and drinking draft beer at bar counter in pub. Cheerful old friends having fun watching a football game on TV and drinking draft beer at bar counter in pub.